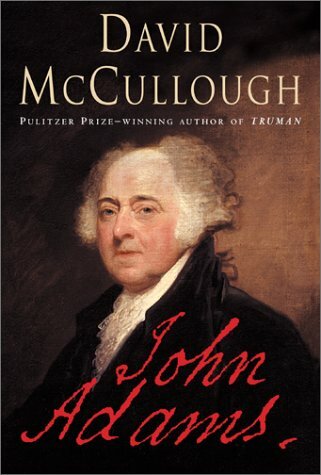 John Adams is a 2001 biography of Founding Father and second U.S. President John Adams written by popular historian David McCullough. It won a 2002 Pulitzer Prize (for "Biography or Autobiography"). Pulitzer.org: "Much about John Adams's life will come as a surprise to many readers. His courageous voyage on the frigate Boston in the winter of 1778 and his later trek over the Pyrenees are exploits that few would have dared and that few readers will ever forget. It is a life encompassing a huge arc -- Adams lived longer than any president. The story ranges from the Boston Massacre to Philadelphia in 1776 to the Versailles of Louis XVI, from Spain to Amsterdam, from the Court of St. James's, where Adams was the first American to stand before King George III as a representative of the new nation, to the raw, half-finished Capital by the Potomac, where Adams was the first President to occupy the White House." John Adams is a 2008 American television miniseries chronicling most of President John Adams's political life and his role in the founding of the United States. 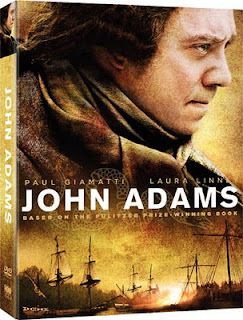 Paul Giamatti portrays John Adams. Kirk Ellis wrote the screenplay based on the book John Adams by David McCullough. The biopic of John Adams and the story of the first fifty years of the United States was broadcast in seven parts by HBO. As of 2009, the show has won more Emmy awards than any other miniseries, and four Golden Globe awards. "Adams National Historical Park was the home of two American presidents and subsequent generations of their descendants from 1720 to 1927. The family's experience represented, shaped, and mirrored significant events in the social, cultural, political, and intellectual history of the nation. The purpose of the park is to preserve and protect the grounds, homes, and personal property of four generations of the Adams family and to use these resources to interpret the history they represent and to educate and inspire current and future generations. Called the Atlas of Independence, Adams was a force that led us toward the Declaration of Independence in 1776. As a diplomat, Adams made peace with Great Britain and established the foundations of our foreign relations; as first vice-president, Adams helped forge the fledgling government; as second President, Adams kept us out of war and ensured the tradition of a peaceful transfer of power from one administration to the next; as a respected lawyer, he crafted the Massachusetts Constitution, the longest-lived constitution in continuous use in the world today, and a model for the federal Constitution. As a person, Adams displayed a passion for learning and the outdoors, a love of family, and an enduring sense of humor. Abigail Adams brought more intellect and ability to the position of United States First Lady than any other woman. President Harry Truman once noted that Abigail Adams "would have been a better President than her husband." No American who ever entered the presidency was better prepared to fill that office than John Quincy Adams. Born on July 11, 1767 in Braintree, Massachusetts, he was the son of two fervent revolutionary patriots, John and Abigail Adams, whose ancestors had lived in New England for five generations. Adams died thinking his career a failure, but it was only so by the impossibly high standards that he set for himself. From Boston: Take the Red Line train to the Quincy Center Station. 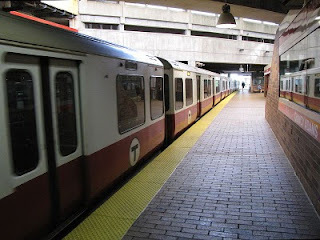 Turn right upon exiting the train and at the top of the stairs, turn left and exit the station to Hancock Street. Walk across Hancock Street to 1250 Hancock Street. The National Park Service Visitor Center is located in the Galleria at President's place.